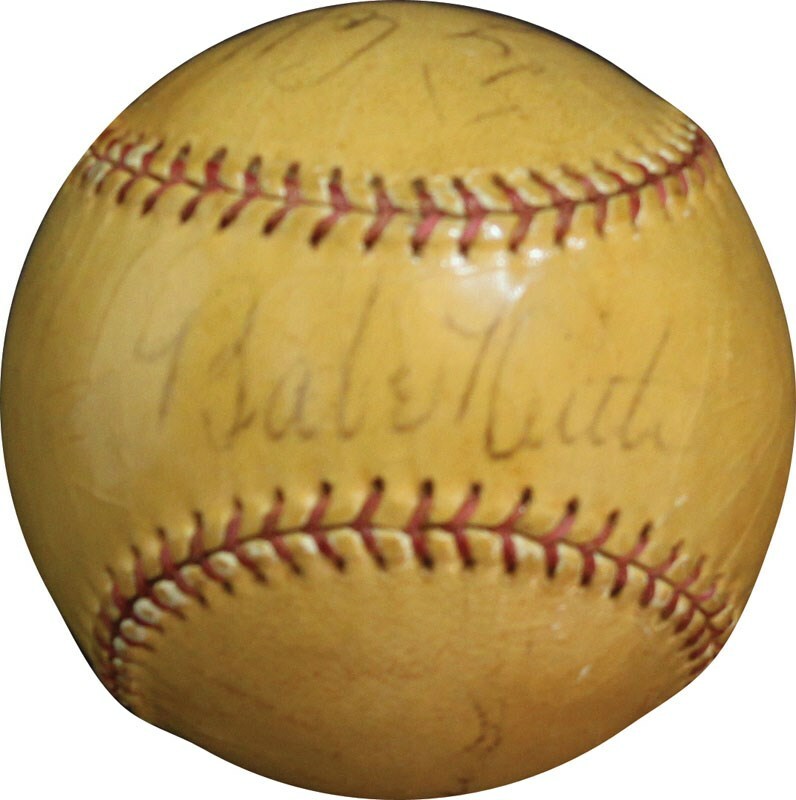 Most would agree that a single signed Babe Ruth baseball stands as one of the foremost collectibles in our illustrious hobby. 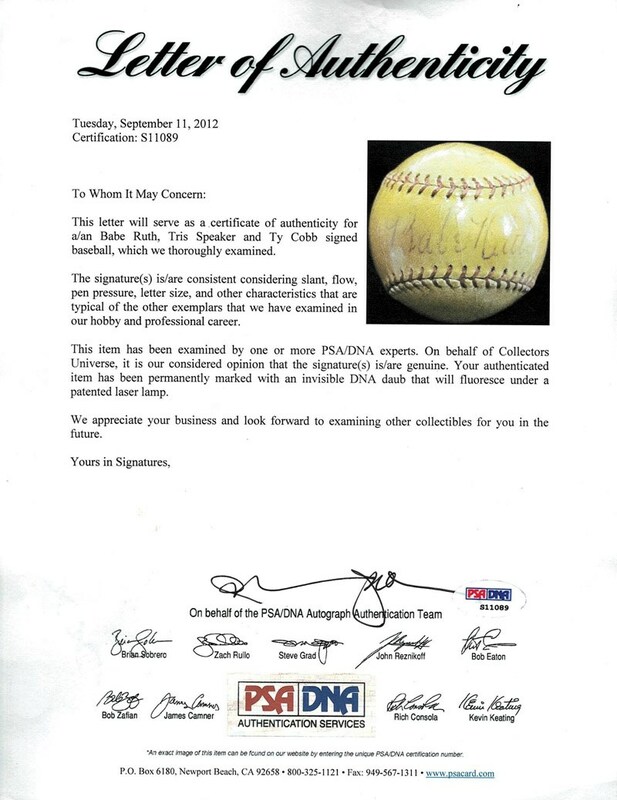 While highly coveted, there fortunately is an abundance of these signed balls to choose from since the "Sultan of Swat" spent an excessive amount of time signing autographs for his adoring fan base. 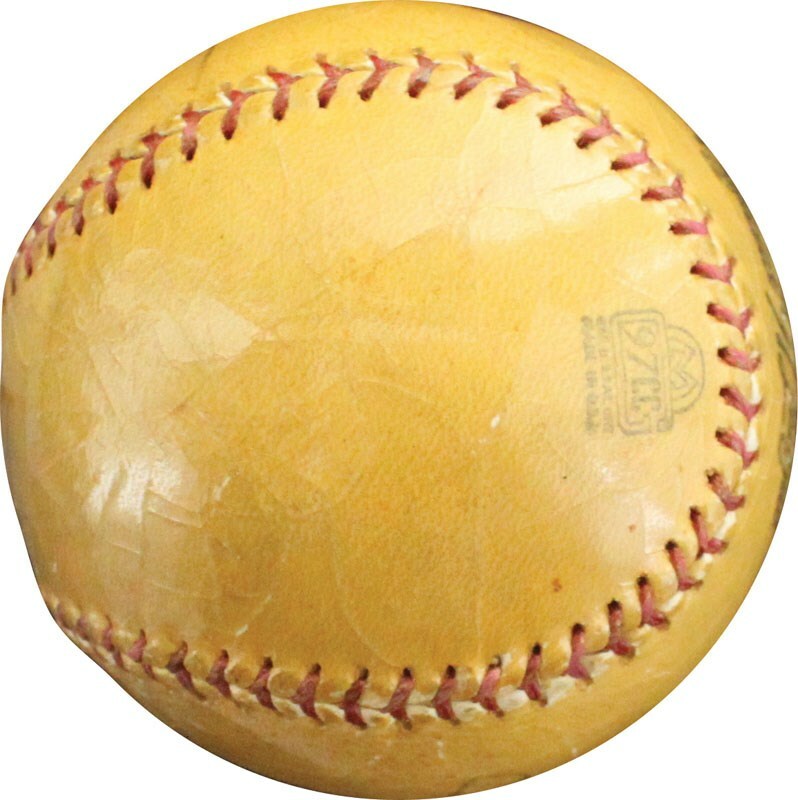 Presented here just happens to be an extremely rare baseball that has not only been signed by Babe Ruth on his customary "sweet spot", but incredibly includes both Ty Cobb and Tris Speaker on the adjoining North and South panels, respectively! A simple "Wow" is the best adjective to describe this amazing offering that portrays three of our National Pastime's greatest pre-war legends. Indeed, before the Bambino appeared in his first Major League game in 1914 with the Boston Red Sox, Ty Cobb and Tris Speaker were already wearing out American League pitchers since 1905 (Speaker actually made his MLB debut in 1907). From 1907 thru 1919, Ty Cobb won a miraculous 12 batting titles in 13 seasons, only missing out in 1916 when Tris Speaker bested him with his league leading .386 average (shame on Cobb as he only batted .370 in 1916)! Ironically, they would both end their magnificent careers in 1928 playing for Connie Mack's Philadelphia Athletics, with Cobb's all-time .366 batting mark and Speaker's "not to shabby" .345 average placing them among baseball greatest stars to ever grace a baseball diamond. 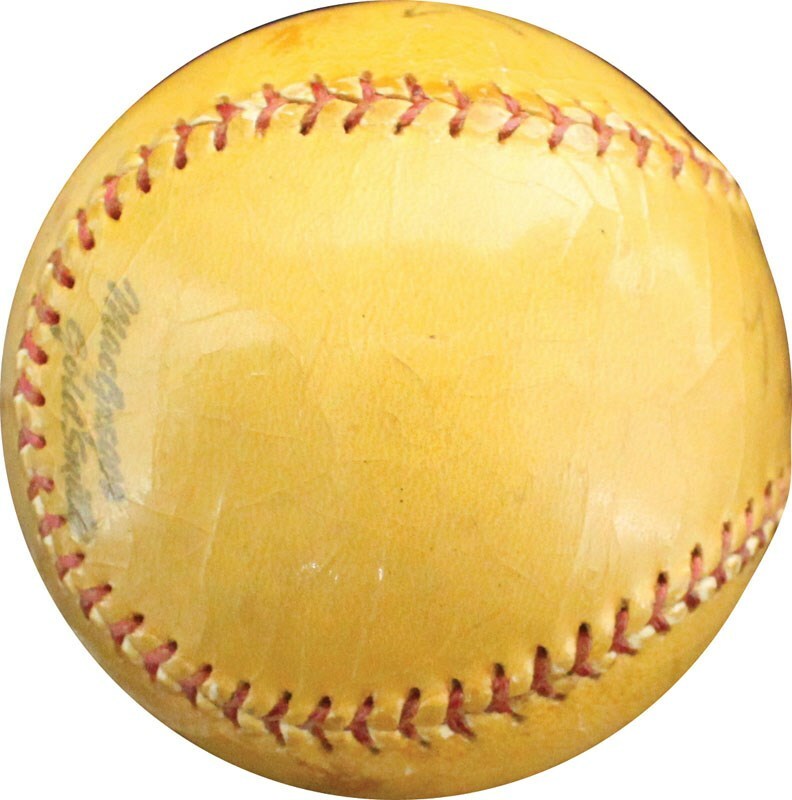 Regarding the majestic Babe Ruth, he surely needs no introduction for his coupled batting and pitching exploits have not only entitled him the honor of baseball's greatest player ever, but more significantly placed him as an irrefutable National hero. 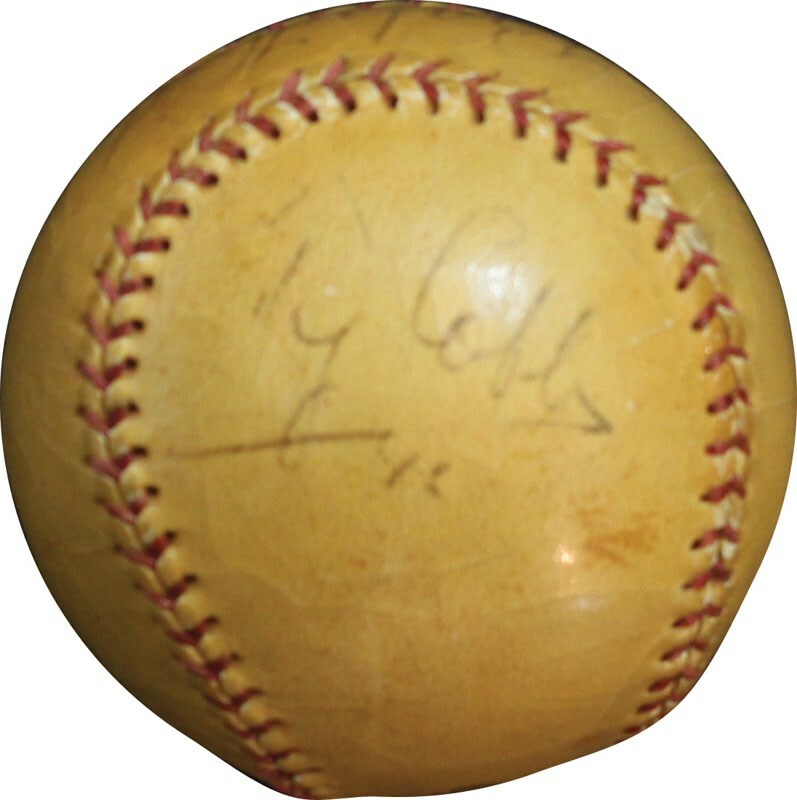 The sheer concept of owning a baseball that includes these three iconic players is unfathomable to say the least, and is the only horsehide sphere we have seen with just Ruth, Cobb and Speaker signatures. 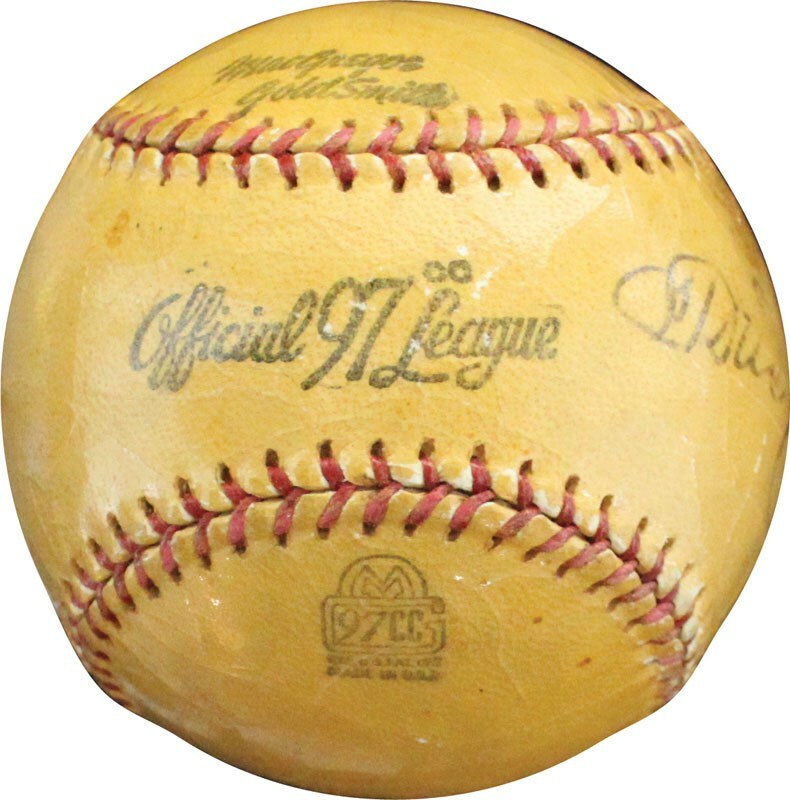 For purposes of preservation, the "Official League" baseball has been very lightly shellacked with the coating not impeding the signatures whatsoever. 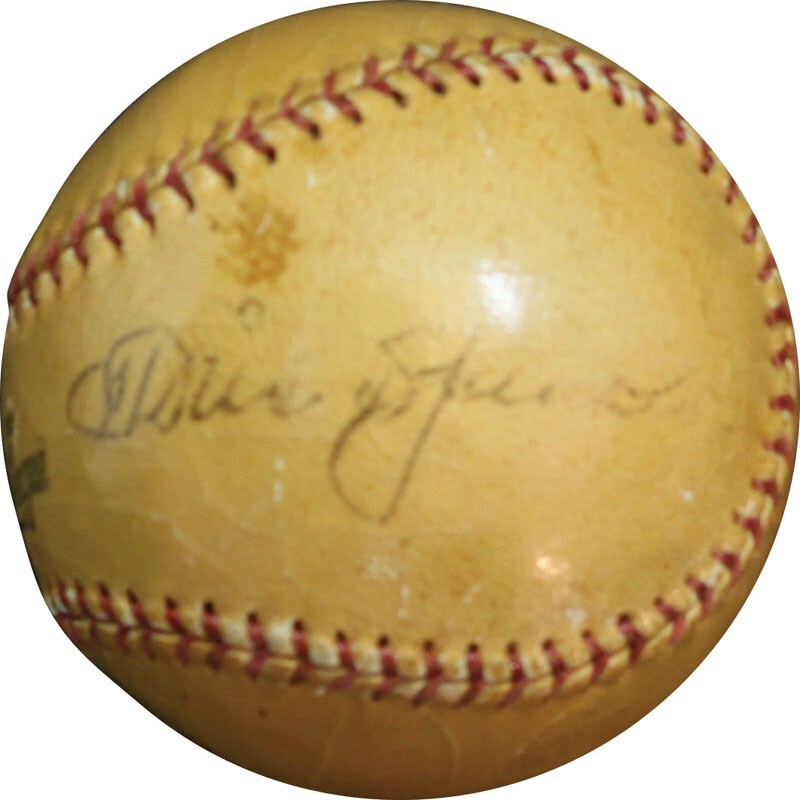 All three autographs have been scripted in black fountain pen and present themselves in approximate "EX/MT 6" strength (Babe Ruth on the Sweet Spot; Ty Cobb on the North Panel; Tris Speaker on the South Panel).